Two late tries by Forrester couldn’t take the gloss off this fine league win on the road by the Reds. 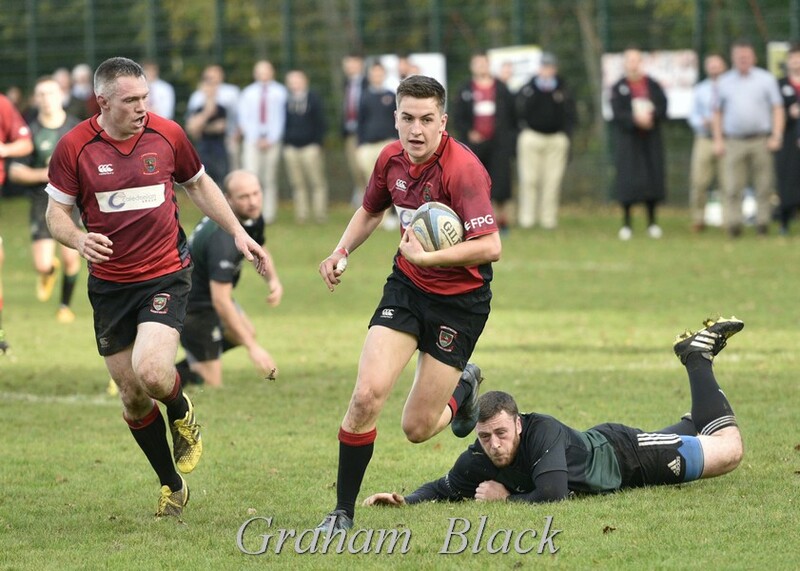 In all they scored 8 tries, with braces from Jack Frame and Rab Cairnsand other tries from Andy Whitelaw, Pete Millar, John Chapman and Gregor Stewart(pictured above). 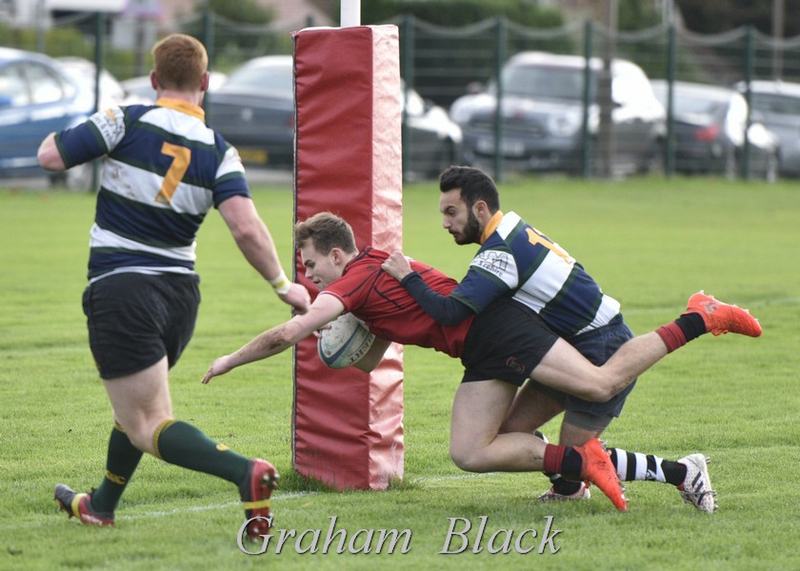 The young Reds ran in 12 tries at Inverleith, as they continued on their winning ways with another big win on the road. There was another hat-trick for Cammy Walker, with braces for James Timlin and Aidan Rennison. 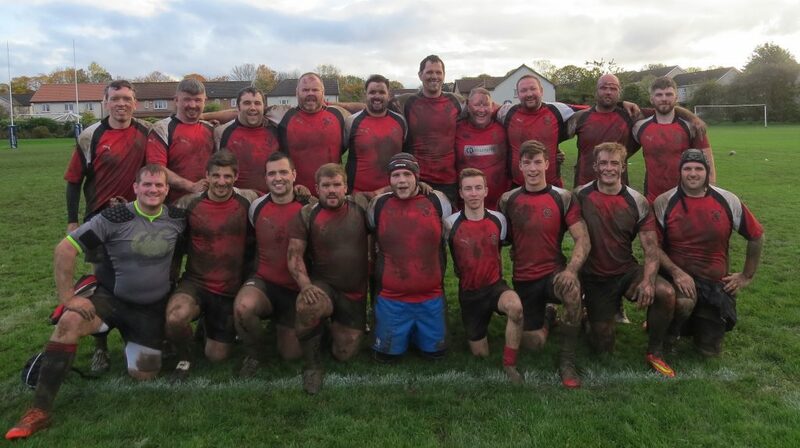 On a day when Linlithgow were able to turn out three full squads, the 3s made their season debut and claimed a big scalp in the form of Queensferry 1s. The squad, made up of some youngsters blended with some seasoned veterans (pictured above) played with great team spirit on a fairly wet pitch.